Taking walks, hitting long balls, gutsy pitching and a solid bullpen all converged to see the Mets ruin the home opener of division rivals Washington. If you squint, tilt your head, and forget about last year, you can start to believe again. Series like these with powerhouse teams are the true test of a team, and on Thursday afternoon the Mets passed, holding the Nationals for two runs, and scoring a gaudy eight, all on home runs. After Eaton led off the game with a double on the first pitch in the bottom of the first, Rendon sliced a ball to right that Jay Bruce misplayed into a run, overrunning the baseball and allowing Eaton to score. Bruce led off the Mets second with a double on the first pitch, advanced to third on an Adrian Gonzalez ground out, and then scored when Stephen Strasburg balked him in after walking Kevin Plawecki on four pitches with a strange halting throw to first. 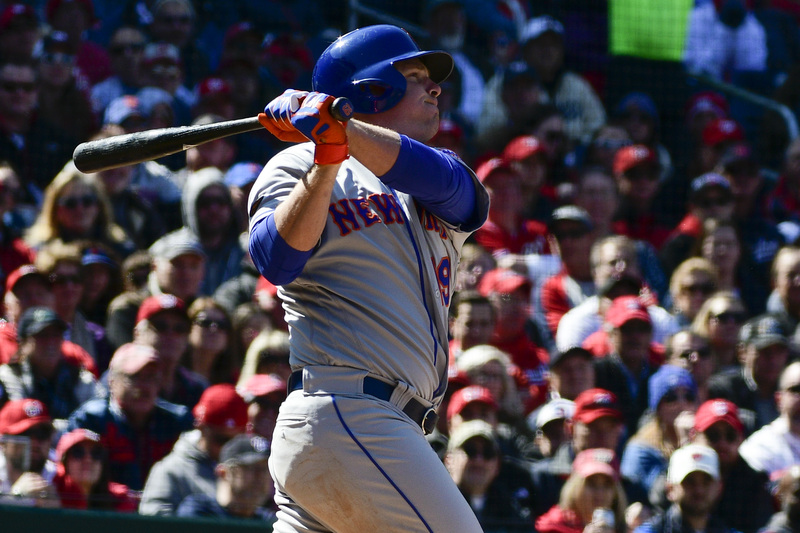 The Mets bats began to return to 2017 form, as Yoenis Cespedes crushed a low Strasburg offering deep to left field for this third home run of the year. After the Mets loaded the bases in the seventh against Nationals reliever Brandon Kintzler, Bruce more than made up for the surrendered run on his fielding error with a grand slam, his first of the year. For his part, Stephen Strasburg also went six, striking out six, but the difference were the home runs surrendered to Cespedes and Michael Conforto. The grand slam Kintzler allowed put the final nail in the coffin of the Nationals’ opener, and he was followed by Ryan Madson and Sean Doolittle, who pitched a scoreless inning apiece. The Mets bullpen continued its strong run, with Jerry Blevins, Robert Gsellmen, Hansel Robles and Seth Lugo blanking the Nationals for the final three innings of the game. It took a couple of at-bats for Conforto to look settled in — but then again, anyone would struggle when Stephen Strasburg is your first pitcher of the season. He struck out on three pitches to start the game, and grounded into a double play in the third. However, things began to turn in the fifth; after Plawecki singled to lead off the inning, Jose Reyes grounded out and deGrom struck out, Conforto sent a tailing Strasburg fastball to the opposite field into the flower beds above the wall and back into play. It took a booth review for the hit to be ruled a home run, resulting in the awkward half-trot from second. Awkward or not, it was a hit — and a win — the Mets will gladly take. The Mets are off tonight, and take the field for game two against the Nationals Saturday at 1.05 p.m., as Steven Matz (0-1, 6.75) faces Gio Gonzalez (1-0, 1.50). What if Matt Harvey is good again?